A growing number of states are passing and enforcing hands-free driving laws, making now a good time to step over to the hands-free world. Waves of Bluetooth wireless devices have hit the market over the last year, and BlueAnt seems to be riding the top of those waves with their release of the Q1 headset. With a price tag a bit under the $80 mark, the Q1 might seem a bit steep price wise, but it delivers more than enough bang for its buck. 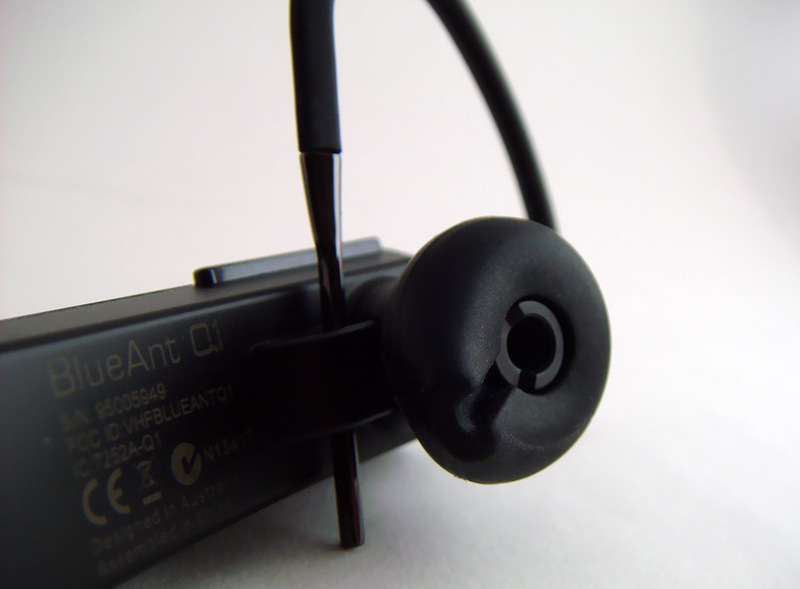 BlueAnt’s Q1 is one of the few headsets that can be considered to be truly “hands-free.” Everything from pairing to call handling can be done through a series of simple and intuitive voice commands. 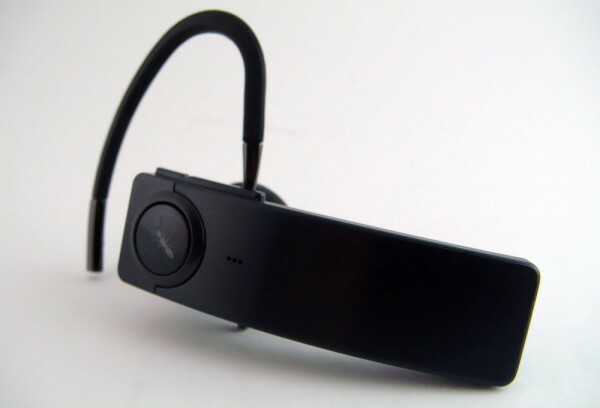 The built-in voice commands like pair me, teach me, what can I say, am I connected, check battery, settings menu, phone commands, redial, call back, call information, speed dial (1-8), switch off, and cancel pretty much cover the spectrum of features that can be expected of any Bluetooth headset. The headset is already in pair mode the first time it’s switched on, which makes pairing simple and straight forward. I found that I didn’t need to refer to the instruction manual at all because of the audio instructions from the Q1 itself. The multipoint feature allows it to store the pairing information of up to eight other Bluetooth devices and simultaneously connect to two phones. While I personally didn’t need to connect to two phones at once, I liked that I could store different phone information and switch from phone to phone with no hassle. Aside from the ease of paring and general use, I particularly liked the noise cancelation feature, but more about that later. All in all, the Q1 comes loaded with useful features and is very simple to set up. The Q1 delivers on all fronts, and design and comfort are no exceptions. The headset boasts an executive look with a sleek gunmetal finish and comes with two sizes of soft ear buds, assuring a secure fit for most ears. I wore the headset while watching Independence Day and to my surprise, I had no gripes about its comfort. One feature that I especially liked was the optional ear hook which allows for an extra secure fit. The best part about the ear hook is that it is adjustable as well, which accommodates many more ear shapes than a standard ear hook does. 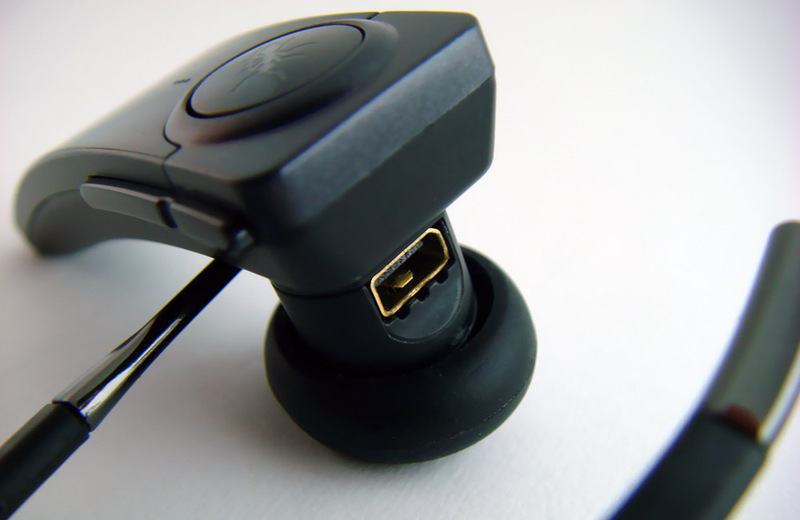 My personal experience with other Bluetooth headsets has been that those without the extra ear hook tend to fall out easily and those with the ear hooks pinch my ears after a while. With the Q1, however, I was two hours into my movie and completely forgot that I even had it on. The one aspect that I didn’t take a fancy to was the button layout. I felt that the volume control and the cancel buttons were too close to each other, and as a result I found myself increasing the volume when I wanted to hit cancel and vice versa. Despite this small inconvenience, I found this headset to be one of the most comfortable and slick looking headsets out there. The Q1’s battery life is as good as you can expect from any Bluetooth headset on the market. To put it simply, the four hours of talk time is more than enough for the average user. But if for some reason I decided to continuously be on the phone and mess around with the voice commands, then I would probably need to carry my charger with me. The charger itself is both a USB and a wall charger. This extra versatility is great in cases where there isn’t an available wall outlet. The USB charger is a definite plus since all you’ll need to do is plug it into your computer or laptop. When all’s said and done, the Q1’s battery life should be sufficient for the grand majority of users and the USB adapter is a helpful extra. The Q1 has exceptional audio quality and clarity. I called several of my friends and I didn’t notice any loss in clarity. This particular headset does a very good job of preserving voice clarity. My experience with other headsets has been that people sometimes complain about being put on speaker phone. With this headset, however, there was very little difference between audio quality between using the headset and using just the phone itself. I found that the noise cancelation feature held up well in semi-quiet places like the library or a coffee shop, but not so well in a car with the windows down. Honestly though, that’s more than enough for me. I don’t really see why I would want to, much less need to, talk and drive with the windows rolled down. I feel that this is a key area where the Q1 excels compared to other Bluetooth headsets with the same price tag. The range for this headset is about 30 feet. However, unlike most headsets out there, there really isn’t much of a loss in quality as you walk up towards the 30-foot limit. I tested the headset in a variety of places, and I can honestly say that I was not disappointed. The Q1 definitely delivered premium audio quality that surpassed my expectations and the performance of many other headsets I’ve come across. 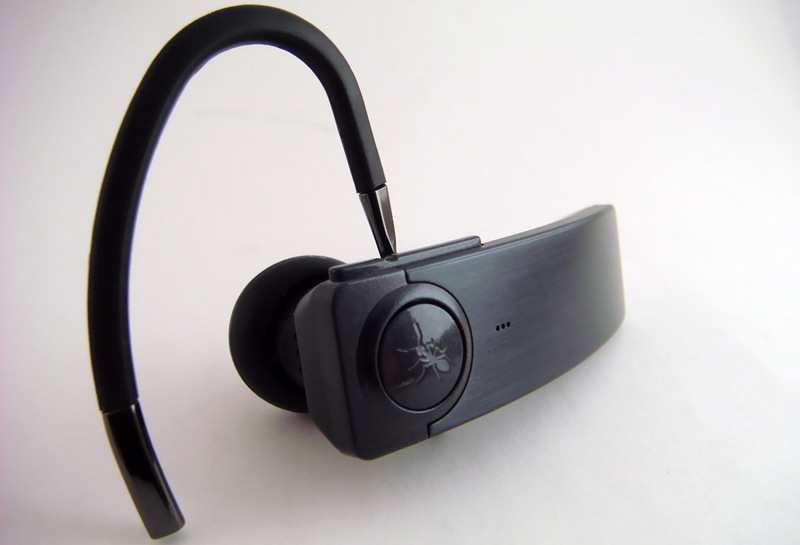 The BlueAnt Q1 has all the bells and whistles that anyone could possibly ask for when it comes to a Bluetooth headset. With its sleek gunmetal finish and stylish design, its superior call clarity, nifty voice commands and noise cancelation feature, it is a definite heavy weight in its price range. My only gripe with the entire device would have to be the buttons being so close to each other, but I guess not everyone has such big fingers as I do. Besides the buttons though, I honestly couldn’t think of another down point. So with all that said, is the Q1 worth the extra money on top of a run-of-the-mill cheap headset? I would sure say so. It might cost $30 or more than the bottom line headsets, but I think the Q1’s extra features and superior performance make it worth the investment. Those of us who live in the desert often drive and talk and have the windows down. Having great sound in a quasi quiet room is no great trick. How it works as you live your life is what counts. I am on my fourth unit. I have never gotten four hours of talk time or anything even close to that. I have been averaging about eight hours of standby and one hour of talk time. After about two to three weeks the battery stops taking any charge at all. Thank God, it keeps happening before, my thirty days at Amazon are up. Any reasonable person might ask, why would someone keep getting the bad head set over and over again? It is light as a feather. I keep checking to make sure it has not fallen off, it’s so light. And the voice activation is awesome. It only works about 80% of the time, but it is still the coolest way to date, to interface with your headset. Once you have one you will never want to go back to a non voice activated unit. And that is why I am on my fourth Q1!